ACTRESS is a 75' Murray Peterson schooner designed in 1937. She is traditionally rigged with deadeyes, pinrails, and lots of blocks. She requires 2-3 crew to sail her. She's a great charter vessel with lots of room. With 6 berths below and wide open decks for lounging above, she's a comfortable vessel that makes a fine vacation home on the water. Captain Hans Vierthaler has been sailing, teaching, and working on boats for 35 years and has had his USCG Captain's license for 25 years. He previously owned and operated Abigail, a 39' Alden ketch, which he used as a sail training vessel. He teaches coastal cruising courses at The WoodenBoat School, and schooner Actress is his charter business proudly running out of Belfast, Maine. He knows all the best spots and events happening in and around the rich cruising grounds of Penobscot Bay, loves meeting new people, and looks forward to sharing the experience of sailing. Schedule of 2018 Sailing Charters! Memorial Day Weekend: May 25-28, 2018: The first sail of the season! Come early and enjoy quiet anchorages at the start of the season. 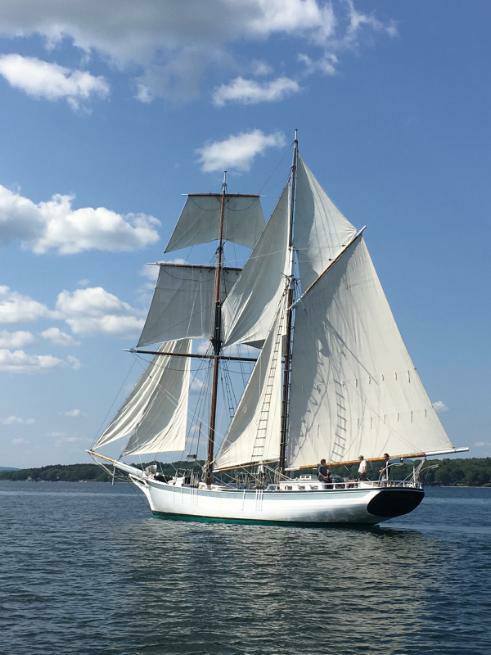 Boothbay Harbor Windjammer Days: June 24-30, 2018: Depart Belfast for a cruise to arrive at the festival June 27. Be in the middle of it all in the heart of Boothbay Harbor alongside other impressive boats. July 4 Schooner Races: July 1-7, 2018: Attend the Great Schooner Races in style aboard Actress. Captain Hans will get you right up close to the fleet and the action. Sailing education aboard Actress. July 15-21, 2018: Learn how to sail this unique rig and learn navigation and planning skills applicable to any boat. Learn to Stand a Watch. June 22-29, 2018: Sail overnight aboard Actress with Captain Hans to gain confidence for longer passages... or to witness the unbelievable stars at that special time of day. Eggemoggin Reach Regatta. July 30-August 5, 2018: Come prepared to learn and race in the ERR and in all the feeder races leading up to it. This is a fun week of learning, excitement, and celebration. The Lighthouses of Pen Bay. August 6-11, 2018: Whether you're a photographer or simply inspired by the sight of their beautiful architecture, come see the wonders perched on the craggy shores of Penobscot Bay. En Plein Air with Amy Hosa. August 19-25, 2018: Join us for a relaxing and focused week of drawing, painting, and creating with the guidance of watercolorist, illustrator, and instructor Amy Hosa. Camden Windjammer Festival. 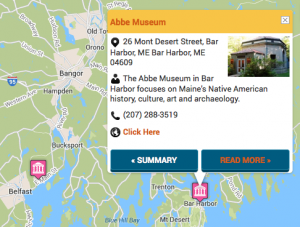 August 26-September 2, 2018: This is one of the largest most important maritime festivals of the summer here in Maine. Tour the windjammers, taste the chowder, stay aboard Actress. Sailing out of Belfast, Maine!